Recently, the leading Chinese drone manufacturer DJI released a new product, allowing all users to improve the quality of their family photos! Meet the new DJI Osmo Mobile 2! The presentation took place several days ago in Las Vegas, USA. The new Osmo Mobile 2 for smartphones was completely redesigned and acquired an awful lot of new options. 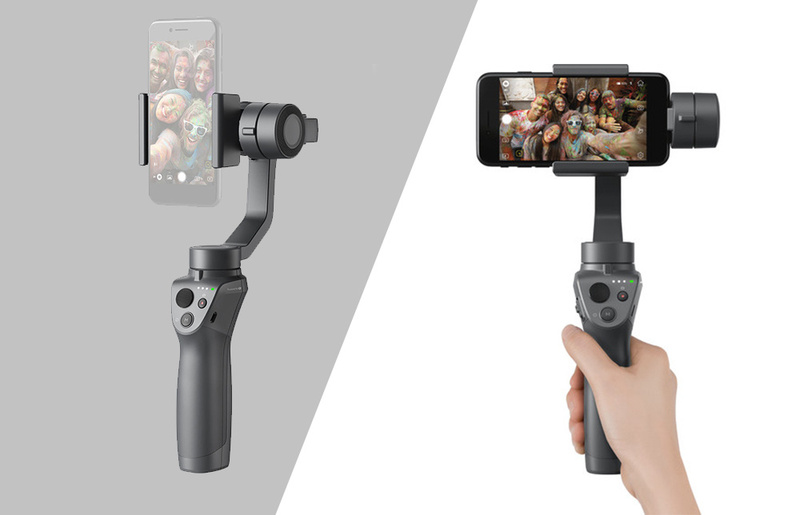 The new Osmo hit the market under a slogan “Share your Story”, which means that if you want to capture the most important moments of your life and wish to get high-quality footage, there is no need to use and carry too heavy equipment with you. 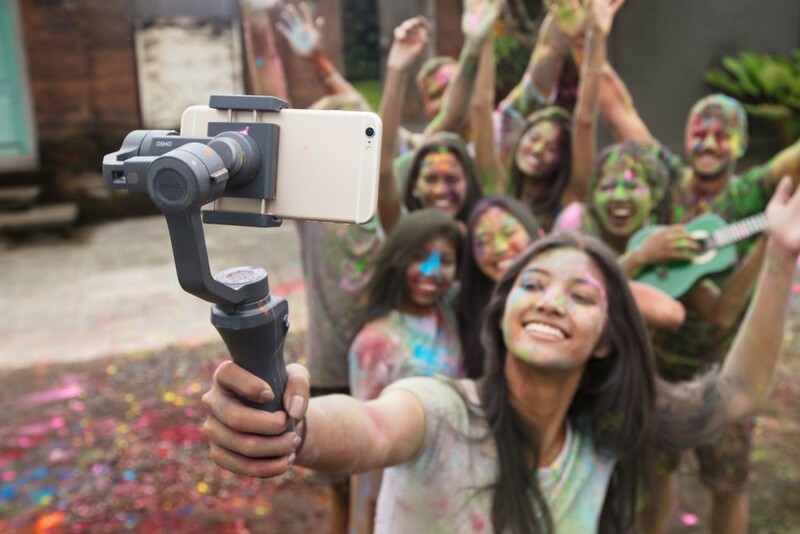 The new DJI Osmo Mobile 2 is the best option, allowing you to meet these goals! Due to this device, you can turn your smartphone into a high-quality stabilized camera. 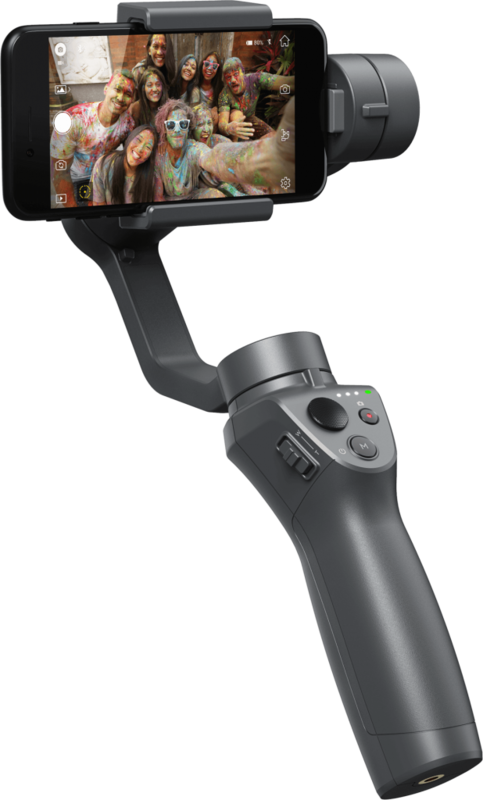 This is the best handheld smartphone gimbal, which can meet the demands of any user. 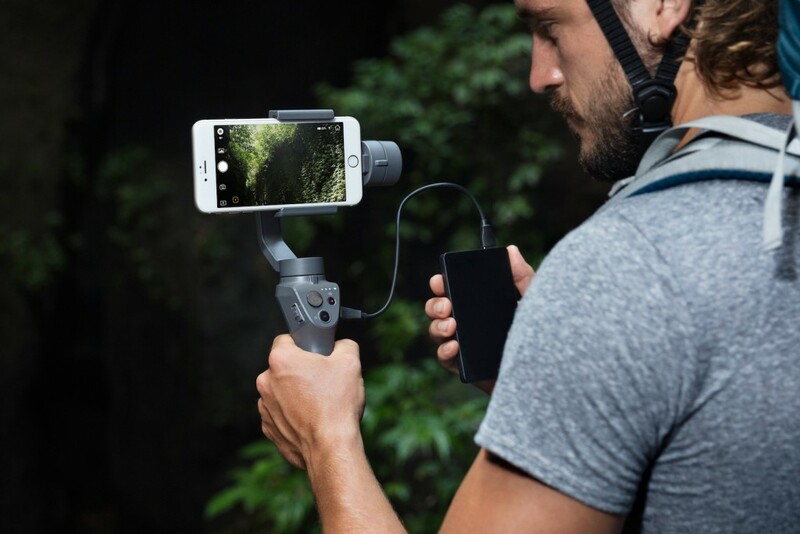 It makes no matter where you are, you can take DJI Osmo Mobile 2 with you and your footage will acquire an absolutely new and even more professional look. Its intelligent options, long-lasting battery (15 hours of shooting) and modern design allow you to shoot easily. The prime objective of this device is to give users a chance to make videos or photos on the go. To do this, it is enough to perform several actions: choose the object of shooting and the Active track mode. All the rest depends on Osmo. Its high-quality built-in sensors and brushless motor will guarantee the best result. Besides, slight vibrations will not influence the quality of your footage. The Timelapse feature allows you to shoot the movements in a stable shot. Otherwise stated, you can easily shoot moving objects like blooming flowers or moving cars. The new Osmo is endowed with a built-in zoom slider. Due to this functionality, it is possible to use a camera of your smartphone with more cinematic zoom. The device gives you an opportunity to produce dolly zoom as well. Creating high-definition panoramas takes less than a minute now. With the new Osmo, you can make cool, high-quality panoramas. The device moves slightly, captures images and then stitches photos together. Except for the possibility to shoot up to 15 hours, users can also charge their phones for hours of streaming. Earlier, users complained that the battery life was too shot. Now, we see that the situation changed for the better! The last thing which also must be mentioned is its size. The weight of the new Osmo Mobile 2 is only 486g, which means that you can make videos at any moment you wish, the device will not take too much space in your bag! 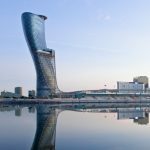 Due to its modified design, Osmo is more compact now. It is made of high-quality composite material. 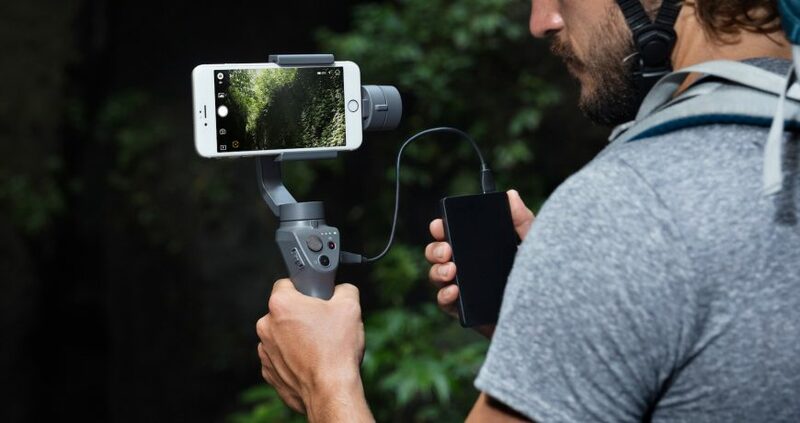 The average price is around $130 and very soon DJI Osmo Mobile 2 will be available for pre-order and you will have a chance to check out all advantages personally!